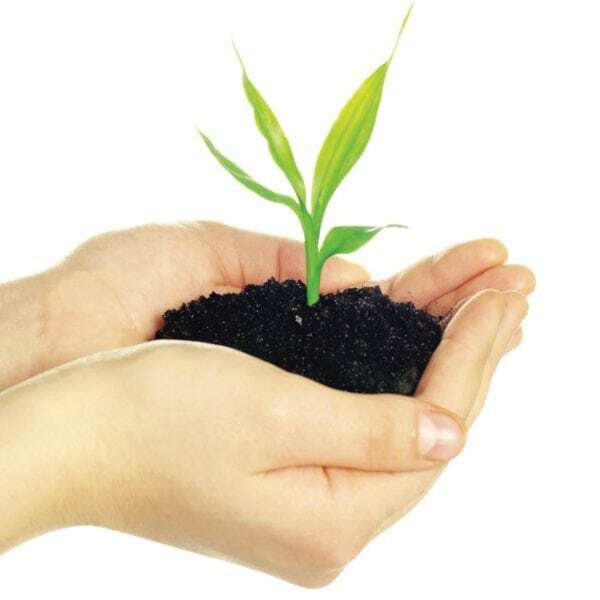 At Seasol we are in the business of growing and nurturing! And not just plants, but strong communities, a happy healthy workplace and a sustainable environment. We think everyone should have the opportunity to enjoy some kind of garden or grow their own food and to do it naturally. We want every kid to get their hands dirty and discover that tomatoes don’t grow in the supermarket. And we want all of you to feel confident that you can create a beautiful garden in the wet, the dry and everything in between. So we make products to help you do just that. Beyond the home garden, our products have been trialled and tested in fields by farmers, orchardists and commercial growers who have been using our products for over 40 years. We manufacture and market organic liquid seaweed and environmentally friendly fertilisers in the retail, commercial and export sector. Imagine harvesting sweet, juicy fruit and tasty vegetables straight from the backyard, growing roses with a spectacular number of blooms or creating a lush healthy garden that looks good year round. 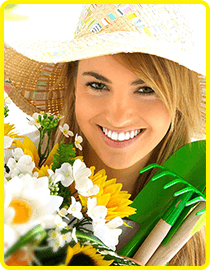 Seasol’s garden product range is designed to make your garden sing! From our signature garden health treatment Seasol, to organically based fertilizers and soil conditioners and innovative water saving products, we make it possible to create a beautiful, productive garden in any conditions. We also make it possible for farmers and commercial growers to grow healthier crops, improve soil health and deliver higher yields with greater efficiency. Seasol started as a small Tasmanian based Seaweed Company. In 1984 it was purchased by Eric Haynes, a coal miner from England who had migrated to Australia with his wife Molly in the 1950’s. At the time the Company was manufacturing and selling a product called Seasol, a plant health tonic and soil conditioner made from Bull Kelp washed ashore on King Island. Although not widely recognized, the product was generating significant interest locally among farmers and commercial growers who saw improved growth and quality in their crops when Seasol was applied. Eric quickly recognized the potential of such a product and in the years that followed Seasol was developed for commercial horticulture. It was during this time that it proved its value as a superior plant tonic. Results in the field continued to show that Seasol improved the quality and performance of yields, reduced plant stress and resulted in tougher, healthier plants. Although R&D funds were limited, trials and anecdotal evidence from all over Australia and indeed many parts of the world, confirmed that this magical seaweed had properties that science was yet to properly identify. 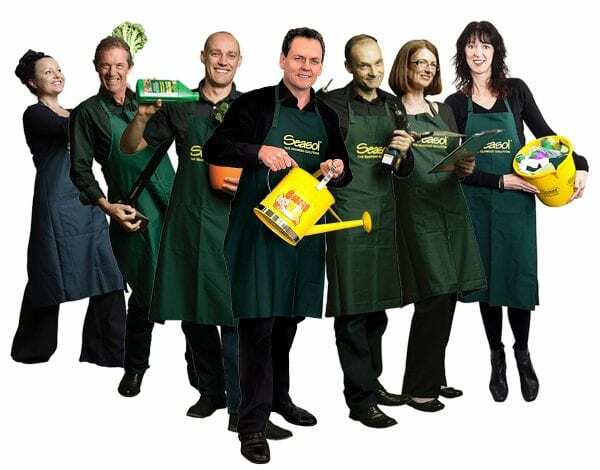 In the mid 1990’s Seasol was re-packaged specifically for the home garden market, and with the support of horticultural experts its sales and popularity among home gardeners grew rapidly. As a result of Seasol’s capacity to help protect plants against hot, dry conditions and its astonishing ability to stimulate root growth, it quickly became the top selling liquid garden treatment in Australia. Such positive results paved the way for the launch of a new Seasol home garden range and Seasol’s commercial farming continued to grow and thrive. In 2000 PowerFeed, a fish based fertilizer and soil conditioner, was released into the home garden market with great success. 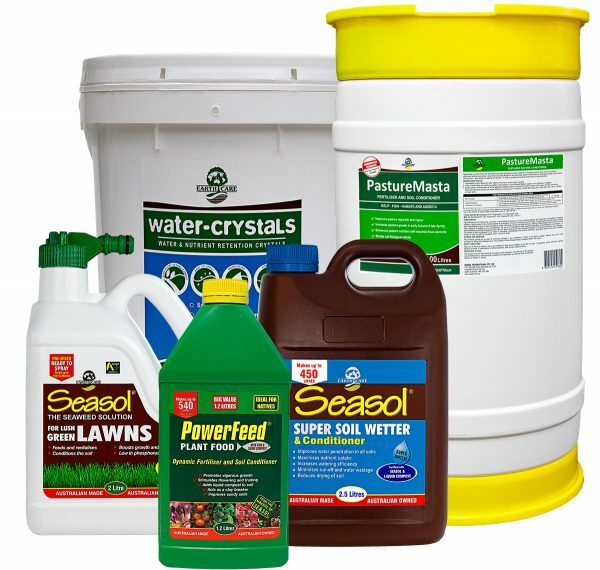 Since then several products have been added to the company’s range including Seasol Planting Gel, Seasol Super Soil Wetter, Seasol for Lush Green Lawns and most recently PowerFeed for Vegies. Sadly, Eric Haynes passed away on the 18th of December 2017. 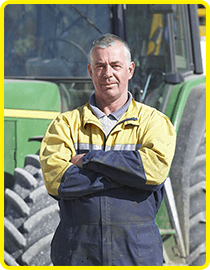 Eric saw his dream come true and that little product invented in Tasmania is now the number one liquid “fertiliser” product on the Australian market. Seasol is still 100% Australian made and owned and organically certified. The company employs over 60 people and is the only seaweed company on the retail market that takes its product from harvest to manufacture. Seasol’s range of home garden products has expanded into the granular market with the introduction of PowerFeed with Troforte microbe technology in 2015, and PowerFeed LawnFeed, PowerFeed Controlled Release Plant Food. These product are boosted with seaweed and beneficial microbes which improve the soil structure and aids nutrient uptake by the plants. 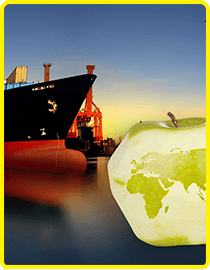 The commercial arm of the business continues to thrive and with significant resources going into R&D, Seasol is proud to be associated with some of the biggest farms and commercial growers in the country. Seasol’s commercial farming range has continued to expand with the addition of PastureMasta, Humate plus, Seasol plus Iron and our own patented Seasol plus Calcium and several blended products, designed for farmers and commercial growers to increase yields and improve growth and performance in their crops and pastures. Seasol has been manufacturing and marketing organic and environmentally friendly products for over 30 years. Our growing range of plant tonics, fertilisers and water saving products are designed to help keep both gardens and the planet green and beautiful. 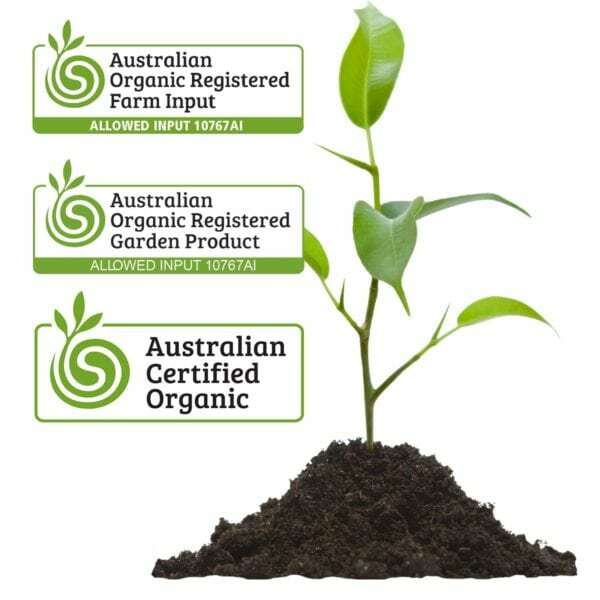 Seasol is Certified Organic in Australia by Australian Organic Ltd (formerly Biological Farmers of Australia), in New Zealand by BioGrow, in Europe through Organic Farmers and Growers and in the USA by Omri. Seasol is derived from a blend of the finest brown kelps from around the world. King Island Bull Kelp (Durvillaea potatorum) Chile Bull Kelp (Durvillaea antarctica) and Knotted Kelp (Ascophyllum nodosum) from the North Atlantic Ocean. All kelps are either storm cast in the case of the Bull Kelps, or sustainably harvested which is the method used with the Knotted Kelps, whereby the kelp is effectively mowed, trimming only the top portion of the plant, which like pruning encourages rapid re-growth. Beyond our environmentally friendly product range, our company supports and works with a number of organisations who, like us, are committed to making this a better world to live in. Having pioneered the seaweed category, we are passionate about our products, but we are equally passionate and committed to our people. It’s the people who have made this business successful and as we strive to be recognised as a workplace of choice (quite uncommon in the manufacturing sector) we are very clear about the environment we want to maintain…an environment that is safe, fair, fun, supportive, honest and respectful…an environment where everyone is heard, and everyone gets to share in the company’s success. …and on the subject of fun, we don’t mind a good party either.